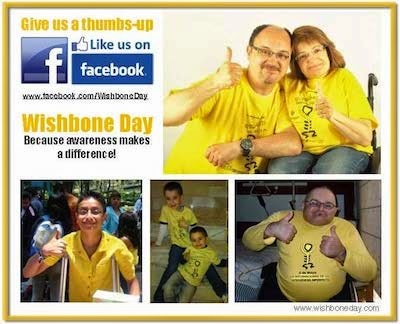 We welcome to our International Wishbone Day Community friends from Indonesia! Sunday 18th November was a special day in Jakarta, with a gathering of 20 families to launch FOSTEO, a new community of children, adults and families who are living with Osteogenesis Imperfecta (OI) in Indonesia. Congratulations to the OI Community of Indonesia and the wonderful health professionals of the Indonesian Paediatric Society who worked with so many fantastic partners to help those living with OI enjoy the highest quality of life possible.